To assist you to review the wider context of PIB Scriptures, TalkToTheWord has a complete Bible Chapter Search. 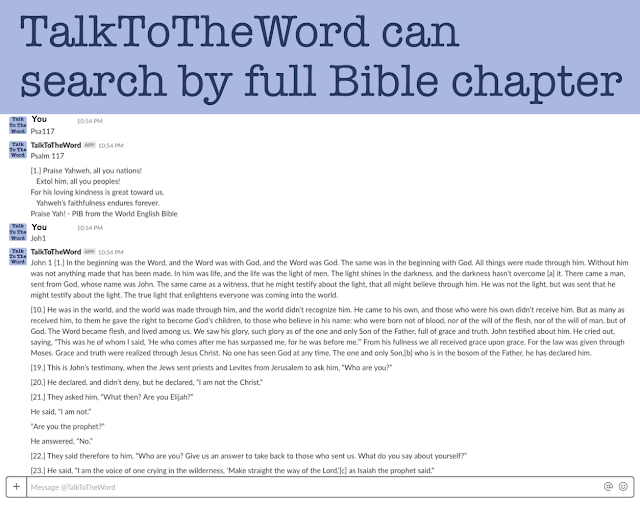 Each chapter can be searched by the book abbreviation and chapter but WITHOUT spaces OR verse numbers, e.g. 1Sam1, 2Tim1 or Jam5 will return the whole chapter. Spaces or punctuation confound the natural language understanding (NLU) for exact searches. This function is available in host sites that do not have word limits: Cisco Webex Teams, FB Messenger, Microsoft Web Chat, Skype, Slack and Telegram (Google Assistant only for machine reading). The Parsed Interactive Bible is also available online. Because the PIB Scriptures returned by TalkToTheWord are not being read within the whole paragraph or chapter, it is important to encourage users to review the Scriptures in their original context. 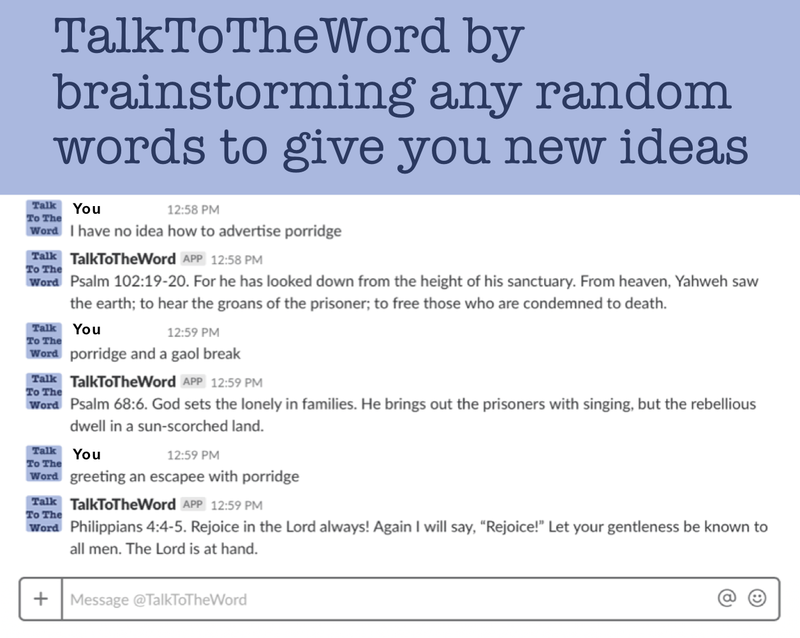 For this reason, the majority of the verse numbers have been removed so that the whole context is read rather than just those sentences limited to the same PIB Scripture numbers. I.e. less is more: Verse numbers give us a location, like a house number on a street, and removing all but the numbers on the street corner forces us to look at the row of houses - observing how they compliment each other - rather than focussing on just one house by itself. The verse numbers that have been retained are either at the beginning of paragraphs or every 5 - 10 verses depending on the amount of text. 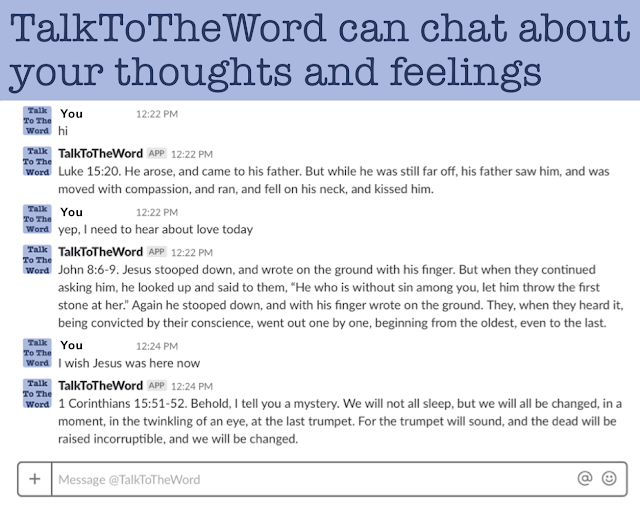 Some sites hosting TalkToTheWord do not support paragraphs so the remaining numbers provide that framework as well as providing reference points, as originally intended. 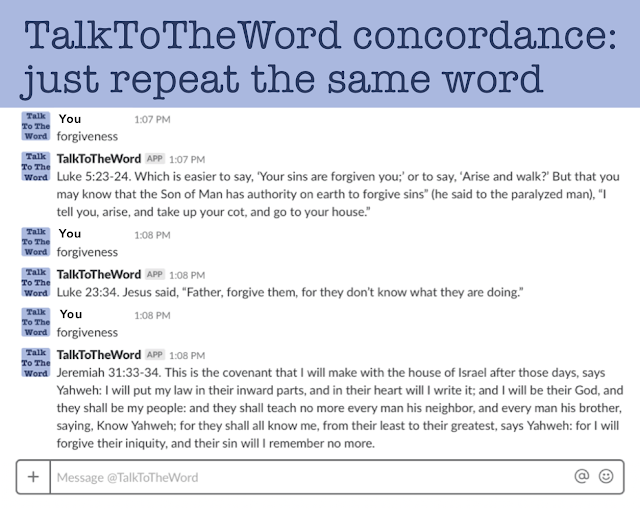 TalkToTheWord's Context Search or concordance is supplemented by a Content Search of both the Old and New Testaments. PIB Scriptures that are returned by the concordance use the format: "John 3:16." 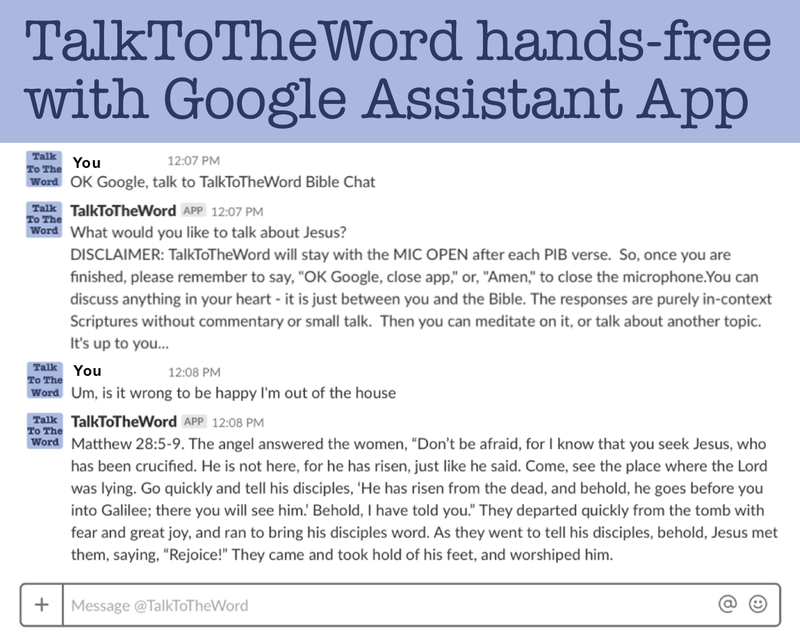 Verses that are returned by the Content Search use the format: "John 3 [16.]" 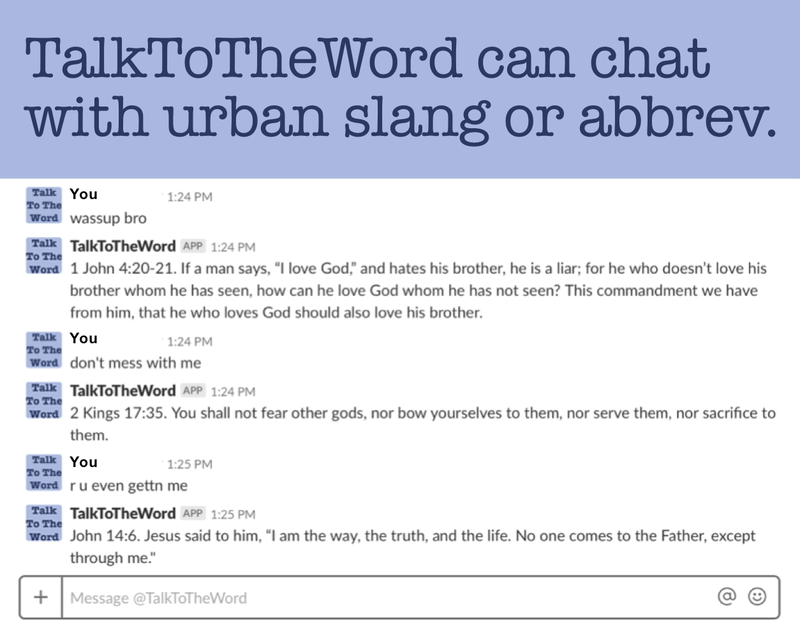 or sometimes without a verse number, e.g. "For God so loved the world, that he gave his one and only Son, that whoever believes in him should not perish, but have eternal life." (i.e. if the content is from the middle of a paragraph where verse numbers have been deleted). 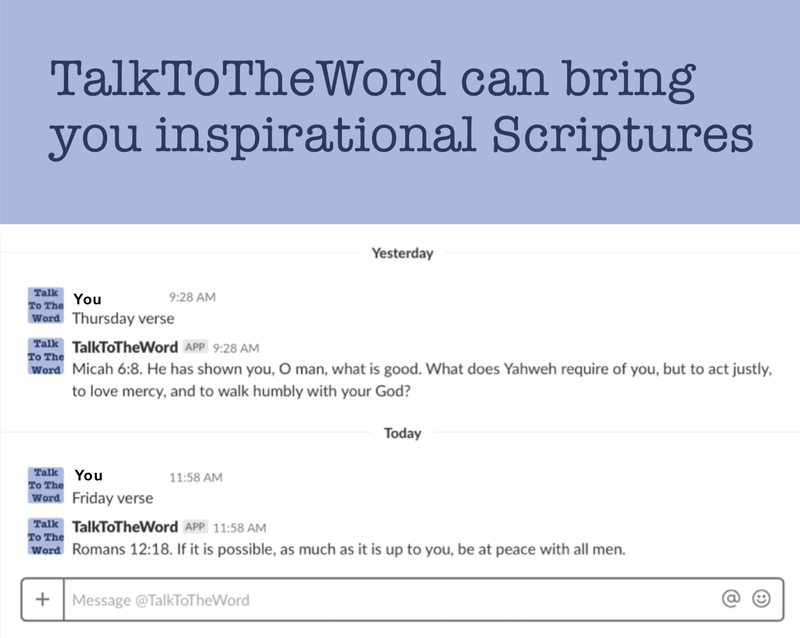 Copying the whole PIB Scripture back into a Google web search will locate the verse number if this is ever omitted by the Content Search. 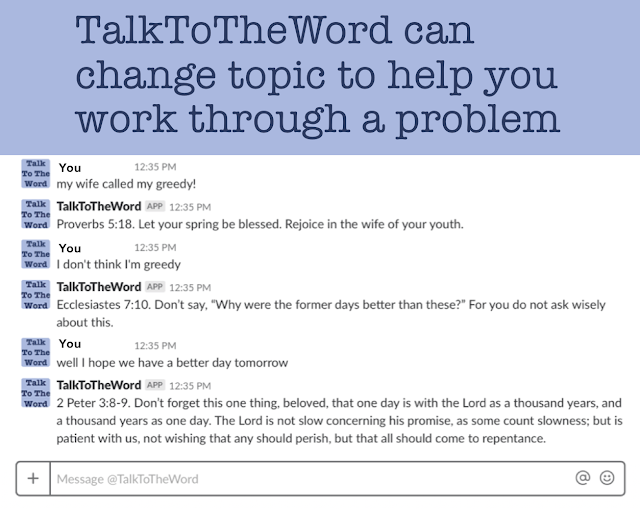 Please share your suggestions on ways to use TalkToTheWord.